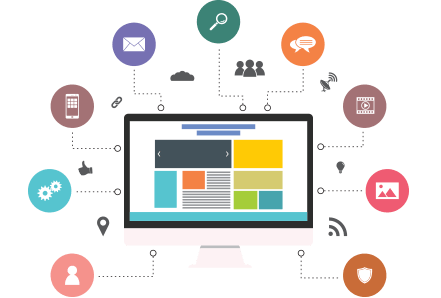 The web designers at Procentris are equipped with the latest and best of skills to deal with all of your demands. We offer our services for from-the-scratch designs, as well as redesigns. Versatile and Responsive Web Designs (RWDs) with an eye towards making your site compatible with all types of devices, operating systems and browsers, emphasizing all the while on aesthetics and user engagement, combined with our work ethic – these are what set us apart from the crowd. The clients are involved in every step of the way. Thus wireframes and layout designs are agreed upon only after carefully analyzing the clients’ needs through detailed discussions and regular collaborative efforts. The client is taken through all the wireframes and mock-ups for the site designs and the changes and improvements suggested by them thereafter are incorporated into the blueprint before finalizing the design. Only when the client agrees completely with the design and is fully satisfied with it, the coding is begun, following which, the deliverable is ready for further development and integration. This process goes a long way in minimizing miscommunication and the rework that has to be done for it.